I Had Root Canal But The Pain Never Went Away! When a root canal is performed Dr. Jon Jenson removes the infected pulp in your tooth’s root, cleans and then seals the tooth back up. For some reason a lot of people in Orem expect this to be an invasive and painful procedure. Most Orem patients are shocked with how little pain they experience during and after a root canal. Some patients even say they didn’t feel any pain at all or will compare it to getting a cavity filled. With this knowledge in mind, lets talk about what type of pain is normal and what is irregular after a root canal. 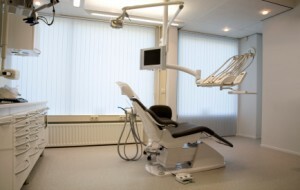 It is completely normal to feel some tenderness around the site of your root canal for a few days after the procedure. You might even feel a little soreness in your jaw from holding your mouth open for a longer period of time than you’re used to. Your body is healing itself and it can be expected to feel some pain but after living with the pain of a tooth infection, we find that many of our clients experience no pain but a lot of relief. For more information about what to expect after a root canal visit our website at https://www.cascadeendo.net/. If you think you may be experiencing irregular pain or symptoms after a root canal call today and schedule an appointment with Dr. Jenson at Cascade Endodontics.